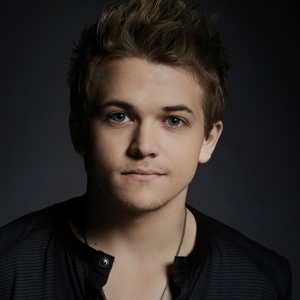 Hunter Easton Hayes born September 9, 1991 is an American country music singer, songwriter and multi-instrumentalist. He can play more than 30 instruments and is signed to Atlantic Records Nashville. Hayes released his self-titled debut album in 2011. It reached number seven on the Billboard 200 and number one on the Top Country Albums, and has sold over 1.1 million copies. Its most successful single, "Wanted", has sold over 3.5 million copies and made Hayes the youngest male act to ever top the Billboard Hot Country Songs. His second studio album, Storyline, was released on May 6, 2014 and was led by its first single, "Invisible". Hayes' commercial success and his talent both as a songwriter and instrumentalist has prompted Billboard to call him the Leader of Country Music's Youth Revolution. He has been nominated for four Grammy Awards, including Best New Artist and won the Country Music Association Award for New Artist of the Year in 2012, along with three BMI Awards.